When was the last time your entire family was together? When was the last time you were all photographed together? I think it is time for another new year’s resolution. We can still do that right? Of course! 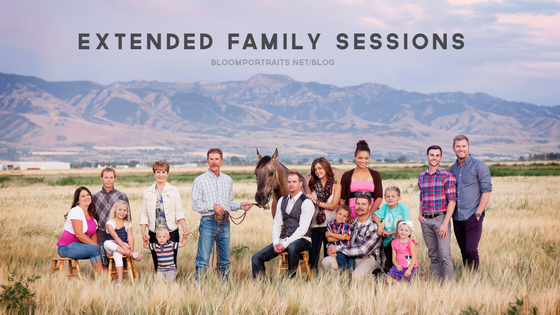 Get on your Google Calendar and add in an extended family session and invite send out that invite. Here is why you need to do this now! 1. Time. We might like to think that our parents and grandparents will be around forever, but unfortunately that isn’t the case. And sometimes we might loose someone unexpectedly. That is why it is so important to do it NOW while you have the chance. Besides the photo memory, you will have the memory of time together creating a lasting image to add to your family history. 2. Family History. We all have one. We are living our family history now. Yesterday is history and tomorrow will soon pass. Capture your history in a photograph that can last forever. Something that can be passed down to your children and their children. Create a tradition that will span lifetimes. 3. Precious Moments. Not only will you have a physical copy of your memories, during your photo shoot and time together you will add to your memory bank. It is really tough to get so many people together in one place. Believe me I know. Our family reunions happen almost every three to five years. But when they do happen, you can bet we make time during all of our fun to make a memory that won’t only live in our heads, but something we can hang on our walls, marvel at everyday and look back on the love that we share.